You are buying the Kendall Simplicity Protective Underwear 44-54" Large 18/bx, Model # 1845. ADW Diabetes offers a complete line of incontinence products by Kendall such as briefs, protective underwear, underpads, and more. We offer these items in single boxes as well as case packs for your convenience. Trust ADW Diabetes for all of your diabetes and home medical product needs. 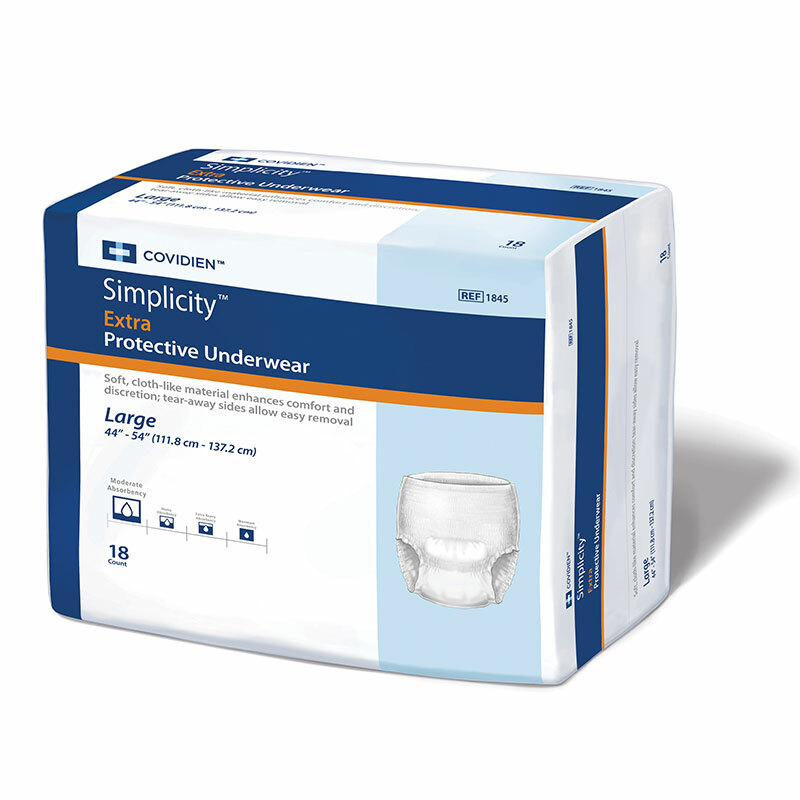 The Kendall Simplicity Protective Underwear 44-54" Large 18/bx, Model # 1845 features a super-absorbent polymer fabric for greater protection and odor control. Soft, cloth-like backing to keep you comfortable. Breathable fabric to keep you dry and cool.